Whether it's cold, and your windshield is full of snow, or it's hot and the inside of your car is sweltering, it is always a good idea to let your engine run first. Don't be waiting in the cold or sweating in the heat; get a remote car start from Next2New Automotive Sales & Service in Sioux Falls, SD. 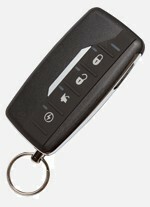 Contact us for more information about how a remote starter can help improve your life!